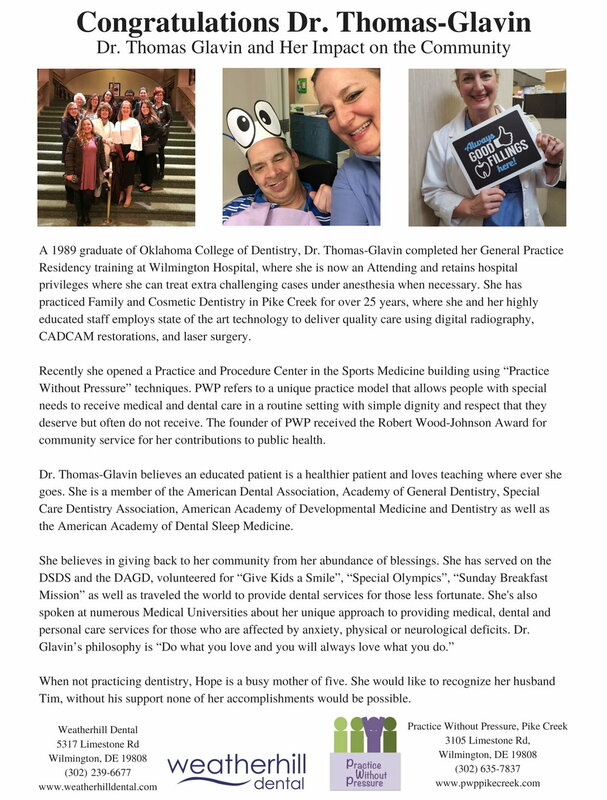 Dr. Hope Thomas-Glavin, known as Dr. Glavin by most of her patients, is a 1989 graduate of Oklahoma University College of Dentistry. In 1990 she completed her General Practice Residency training at the former Wilmington Hospital, now Christiana Care Health Systems. She is currently on staff at CCHS where she is an Attending for the Dental Residents and retains Operating Room privileges. Dr. Thomas-Glavin practiced in Dover for three years before relocating to the Pike Creek Valley to practice with Dr. Ed Rohrbaugh. 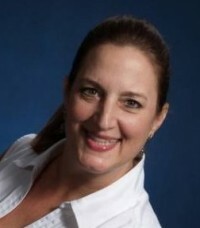 She has now been providing excellent family and cosmetic dentistry in Pike Creek for over 20 years. Early in her career as a dentist in Wilmington, Delaware Dr. Glavin worked with the New Castle County Vo-Tech programs in various capacities; first, as an instructor for Howard and Del Castle High Schools. Following the teaching position, she went on in an advisory capacity, helping set curriculum and evaluation standards for the New Castle County Vo-Tech schools statewide. She was instrumental in the ground-breaking development of the Wellness Clinics in Wilmington public high schools. She received recognition from Delaware’s Governor Carper’s administration, being awarded for “Outstanding Participation from the General Sector”. Dr. Glavin belonged to the Kent and Sussex Dental Society, where she served as their secretary for two years. As she continued her dental career in Wilmington, she served as secretary for the Delaware Chapter of the Academy of General Dentistry, and currently serves on the Delaware State Dental Society’s Access to Care Committee. Among her volunteer opportunities of the past 25 years, Dr. Thomas-Glavin has served Wilmington citizens in Colgate Give Kids A Smile, Pierre Toussaint Clinic, and Special Olympics Delaware. She frequently speaks at local preschools and MOPS groups to encourage good dental habits among our youngest of citizens. She has traveled around the world to provide dental services for those less fortunate. Dr. Glavin is a member of the Academy of General Dentistry, American Dental Association, Special Care Dentistry Association, and Academy of Dental Sleep Medicine. Recently Dr. Thomas-Glavin opened Practice Without Pressure Pike Creek. Practice Without Pressure Pike Creek is the first stand alone practice and procedure facility using the techniques pioneered by Robert Wood Johnson Foundation “award winning” Practice Without Pressure, Inc. Practice Without Pressure takes its name from a unique practice model that allows people with special needs to receive medical and dental care in a routine setting with simple dignity and respect that they deserve but often do not receive. If you or someone you know has difficulty receiving medical, dental or even personal care services due to anxiety, physical or neurological deficits, please find us on Facebook or visit our webpage at PWPPikeCreek.com to see how we can help you.